Though it’s only just the beginning of August, Oscar season is coming very soon. Every major studio will shoot out their biggest contenders starting October, hoping to win awards. So what are their chances? I’ll discuss them now in my first major Oscar post of the season. 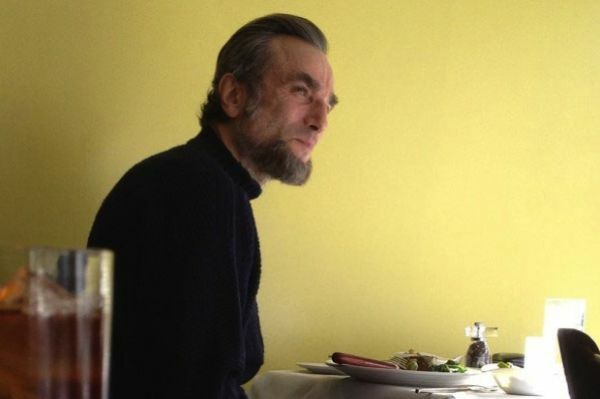 Lincoln is the most likely film to win the Oscar right now. It has one of Hollywood’s best directors (Steven Spielberg) and one of the Hollywood’s best actors (Daniel Day Lewis). Plus it’s a historical drama, something which the Oscars love. What might hurt the movie is that the Oscars think that Spielberg and Lewis have won before, so the award should go to someone else. Still, I think it’s the top contender. The Master doesn’t just come from big director Paul Thomas Anderson, but the man who’s practically wins an Oscar every year: Harvey Weinstein. Weinstein is known for campaigning heavily as he did for Shakespeare in Love and The King’s Speech, both of which won Best Picture. The main problem is that Paul Thomas Anderson’s films are not in everyone’s tastes, which hurt The Will Be Blood‘s chances at the Oscars in 2007. Life of Pi comes from Ang Lee, a man who has brought nabout some of the best films of the last decade. I’ve been quite excited about the film, and it does look spectacular. The only concern the Oscars have is that it’s in 3-D, but if Lee can do what Scorsese did with Hugo, I’m sure he’ll be fine. Django Unchained has Quentin Tarantino directing, Jamie Foxx, Christopher Waltz, and Leonardo DiCaprio acting, and Harvey Weinstein producing. I’m a fan of Tarantino, and I thought the first trailer looked pretty great. The problem is that many of the older voters probably don’t like Tarantino’s style, but I still think it’ll be nominated. I’m not a fan of musicals or of Tom Hooper either (I thought he robbed David Fincher of an Oscar). But I liked the trailer, plus this is the kind of stuff the Oscars usually favor. I wasn’t a fan of the trailer, and I have no idea why it’s in 3-D. But big names and the source material will probably have this film get a nomination. There’s been some controversy over the film because some believe the White House gave Kathryn Bigelow classified information for the movie, but I doubt that will hurt the film. I haven’t heard much of it, but I loved Bigelow’s previous work The Hurt Locker, so I’ll give this a try. I’ll be seeing this film over the weekend, so I’ll express my thoughts then. The Beasts of the Southern Wild has received rave reviews and won awards ranging from Cannes to Sundance. The problem is that it isn’t as mainstream as the others on the list, which could potentially hurt it. Truthfully, I’m not as excited for The Hobbit as everyone else. I don’t know why. The popularity of Lord of the Rings may boost The Hobbit‘s box office gross but probably won’t help its Oscar chances that much. Hyde Park on Hudson sounds not too different from an average historical drama. But it looks interesting, and the Oscars love historical films. Here are some films that may make the list. Again, I haven’t seen any of these except Moonrise Kingdom and The Dark Knight Rises (both I think, thus far this year), should be nominated. Some interesting things here. I know I’m looking forward to The Master the most. P.T. Anderson’s films aren’t for everyone, but remember No Country for Old Men was the film that beat There Will Be Blood. No Country was pretty fantastic. Will Lincoln be that good? I loved No Country for Old Men, though I haven’t actually seen There Will Be Blood. I’m looking forward to The Master, though. As for Lincoln, I’m hoping Spielberg does to it as he did for Schindler’s List, where he examined the character of Schindler instead of recounting the historical events. But I’ve heard some pretty good buzz so far, so I’ll be watching. Thanks for commenting. Agree with most of these choices. As far as Django goes, I could see Leo finally winning his Oscar. I’m not a big fan of Leonardo DiCaprio, but based on the trailer, he looks great in the role. Django looks great, and is one of my must-sees this year. Thanks for commenting. Personally I feel The Master is the most likely to win at the moment followed by Les Mis. Lincoln will get nominated for BP sure, but I don’t think it is going to have that backup behind it that The Master will (particularly since TWBB would have, with no doubt, won in any other year). That’s why I tend to disagree with your assertion of TWBB above. It was merely released in the wrong year as it and No Country are on so many best of the 2000s Top 10’s. Also, I’m not even sure Lewis will win Best Actor as it would be quite rare for an actor to win a third time on just five total nominations. I just don’t think the Academy is ready to take that step. If anything Joaquin is destined for the win. This was still a great read! I wrote a similar piece about what films so far this year will make it into the race and have particular analysis on TDKR’s chances. If you want I have linked it below. Will be following your blog. The Master is definitely a top contender, but I placed it second because I think the Academy hasn’t really embraced Paul Thomas Anderson as a director I think. Though some loved TWBB, I know a lot of people who didn’t I enjoy it (I can’t state my own opinion because I unfortunately missed it in theaters). Daniel Day Lewis’ main obstacle for winning another Oscar for Best Actor is that he’s already won two before. No actor has won more than two. However, there really aren’t any major contenders other than Joaquin, which could lead to Lewis winning a third Oscar, though I wouldn’t bet on it now. I’d love to see the Academy nominate TDKR, but unfortunately they usually prefer smaller films, which isn’t bad but I’d love to see Nolan get some attention. I’ll be sure to check out your post. Thanks for commenting!